EXETER, R.I. (WJAR) — On Memorial Day, people across the nation honor service members who made the ultimate sacrifice. Hundreds came to pay their respects at Rhode Island Veterans Cemetery in Exeter on Monday. It was a solemn moment as Gold Star family members, along with Gov. Gina Raimondo, placed a wreath at the World War II Memorial as a tribute the those who died serving in the armed forces. 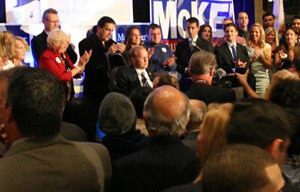 During a politically divisive time in the country, elected officials reminded Rhode Islanders of their shared values. 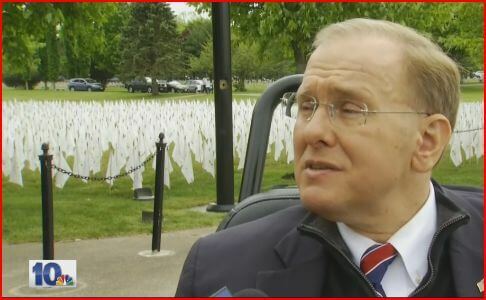 “Where we may have political differences, we have to remember that we’re still all Americans and think of the tremendous service and sacrifice those who wear the uniform give every day to protect freedom,” Congressman Jim Langevin said. The event was personal for the Brown family. They have loved ones who served in World War II and Vietnam buried at the cemetery. “We just wanted to come out and have a peaceful moment with them and reminisce,” Carol Brown told NBC 10. The House of Representatives this week overwhelmingly passeda defense policy bill with several cybersecurity measures aimed at better securing Pentagon networks. The legislation — the fiscal 2019 National Defense Authorization Act (NDAA) — seeks closer collaboration between the departments of Defense and Homeland Security in defending against hackers, asks for quick notification of data breaches of military personnel, and continues to crack down on foreign-made telecom products that are deemed security threats. The NDAA is an annual ritual that lawmakers use to shape Pentagon policies and budget plans while throwing in some pet projects to boot. The House bill — a $717 billion behemoth — eventually will be merged with the Senate’s version, which that chamber’s Armed Services Committee also approved this week. It’s unclear when the Senate bill will have floor votes. One key provision of the House bill, according to the Rules Committee print, would set up a pilot program for the Pentagon to dispatch up to 50 cybersecurity staff to support the DHS’s mission to secure civilian networks. The deployment of the DOD personnel, potentially to DHS’s prized round-the-clock threat-sharing hub, would be a reminder of the overlapping turf that agencies compete for and try to reconcile in cyberspace. While DOD may find itself loaning out a small group of its experts, lawmakers want to boost the department’s own workforce by giving the Defense secretary direct hiring authority through September 2025 for “any position involved with cybersecurity.” The Pentagon has boosted its ranks of computer gurus in recent years through U.S Cyber Command, but lawmakers and military brass are wary of losing these experts to lucrative private-sector jobs. In the event of a “significant” breach of service members’ personal information, the Defense secretary would be required to promptly notify Congress. That issue came to the fore in January when it was revealed that GPS company Strava had published a map online that showed soldiers’ locations via devices like Fitbits. Rep. Jim Langevin, D-R.I., co-founder of the Congressional Cybersecurity Caucus, backed the defense bill’s provisions to improve “our ability to deter adversaries in cyberspace.” In response to the Russian influence-operation to disrupt the 2016 U.S. presidential campaign, the bill would ask President Donald Trump for a report to Congress on what his administration is doing to protect against “cyber-enabled” information operations. The House bill also keeps the pressure on Chinese telecom companies ZTE and Huawei by barring federal agencies from buying their products, and an amendment from Texas Republican Michael McCaul extends that ban to any use of federal grant money and loans. The Senate version of the bill also tightly restricts the Pentagon’s use of technology considered a risk to national security. For example, an amendment from Sen. Jeanne Shaheen, D-N.H., would require DOD vendors to reveal if they’ve let foreign governments inspect their source code. The National Institute of Standards and Technology released an update to the Framework for Improving Critical Infrastructure Cybersecurity this spring, the group’s first such update. 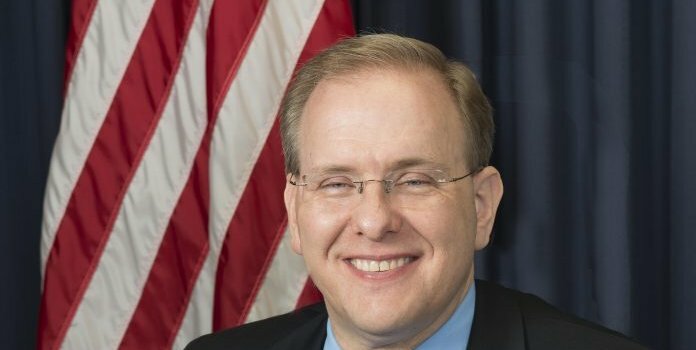 Rep. James R. Langevin, D-R.I., is co-founder and co-chair of the Congressional Cybersecurity Caucus and a senior member of both the House Committee on Armed Services and the House Committee on Homeland Security. PBN: Why is it important for different sectors, such as academia and businesses, to partner on cybersecurity defense? LANGEVIN: Cybersecurity is a challenge that everyone faces. Computers and other information technology are pervasive in every sector of the economy … no one has a monopoly on cybersecurity talent or techniques. That’s one reason it’s been so important for the National Institute for Standards and Technology to bring together a broad set of stakeholders to develop its cybersecurity guidelines. In updating the Cybersecurity Framework, NIST consulted with experts from business, academia and government to develop guidelines that draw upon the unique experiences of people in each of these fields and ensure that the guidelines are applicable to any organization. PBN: What has changed most since the Framework for Improving Critical Infrastructure Cybersecurity was first created? LANGEVIN: NIST published a major update to the Cybersecurity Framework. … The new version improves some of the original technical guidelines and better explains how to manage supply-chain cyber risks. The Russian NotPetya attack, for instance, while originally targeted in Ukraine, has cost U.S. corporations [such as] Merck and FedEx hundreds of millions of dollars and was enabled by a supply-chain vulnerability. Every business should think about how it works with its vendors and service providers and whether sensitive data may be inadvertently exposed. One of the biggest changes, though, is that NIST has made the Framework easier to use. An organization using the revised Framework will have more information to select the levels of cybersecurity it wishes to implement and to self-assess its progress in reaching those levels. NIST has also worked to provide more resources to make the Framework immediately relevant to small and medium businesses, which often do not have dedicated risk managers. Beyond the content of the Framework, a lot has changed with respect to awareness and adoption since it was first published in 2014. The word has gotten out. PBN: In a press release recently, you said: “Cybersecurity is not just a technical issue, and an understanding of the economics of controls is essential if we expect companies to adopt them voluntarily.” Can you elaborate? LANGEVIN: Of course, technology is at the core of cybersecurity. In a broader sense, however, cybersecurity is just part of risk management. Businesses generally excel at assessing competitive and market-driven risks, [such as] the risk that a disruptive technology will reduce demand for their product or service. Unfortunately, we still lack the ability to describe cybersecurity risks in similar business terms. The NIST Cybersecurity Framework describes steps organizations can take to reduce their risk, but that guidance needs to be coupled with better cost-benefit information to help executives – and board members – prioritize cybersecurity investments. PBN: What do you think is most generally misunderstood about the topic of cybersecurity? LANGEVIN: There are, unfortunately, some who believe they have nothing to worry about because no malicious cyber actor has a reason to target them. Conversely, there are doomsayers who insist that no amount of cybersecurity will protect you from a determined adversary. The reality is somewhere in between. There are basic defensive steps – often called “cyber hygiene” – that we should all take to improve our cybersecurity. Using unique passwords – or even better, a password manager, keeping software up to date with patches, maintaining offline backups of valuable data and scrutinizing links in emails or texts before clicking on them are a few examples. Everyone should realize that they’re a target. But they should also feel empowered to take steps to protect themselves. PBN: What more needs to be done? LANGEVIN: One thing I hear over and over again is that we need to strengthen our cybersecurity workforce, because the demand for cyber skills in every sector is staggering. That’s why I’ve been proud to introduce and co-sponsor several bills to expand cybersecurity scholarships, apprenticeships and training. I also believe we need a national standard for notifying consumers when their private data has been breached, which is what my Personal Data Notification and Protection Act would provide. The Trump administration sought to assure lawmakers on Tuesday that it’s working with states to ensure the security of U.S. elections after Democrats raised concerns that the government isn’t doing enough. “This is an issue that the Administration takes seriously and is addressing with urgency,” according to a joint statement Homeland Security Secretary Kirstjen Nielsen and FBI Director Christopher Wray released after top intelligence officials briefed House members behind closed doors. The officials said they highlighted efforts to protect “critical infrastructure” for elections. Democrats have questioned whether the Trump administration has acted forcefully enough to prevent other countries from meddling with U.S. election results after intelligence agencies concluded that Russia sought to help President Donald Trump and hurt Democrat Hillary Clinton in the 2016 presidential contest. Russia denies the accusations. Raja Krishnamoorthi, an Illinois Democrat, said after the meeting that “I don’t feel confident” that the Homeland Security Department and other agencies are doing enough to secure future elections. Much of the briefing focused on Russia, but there are “others out there” seeking to do the same thing, he said. “I didn’t walk away thinking that we’re there yet” in terms of being prepared, he said. The briefing comes as primary elections are underway Tuesday in Arkansas, Georgia Kentucky and Texas. James Langevin, a Democrat from Rhode Island, said after the briefing that “states have had better interaction with the federal government than they did prior to the 2016 election but there are still weaknesses in the system,” especially making sure there’s a paper trail. He said about 50 lawmakers attended the meeting and some raised questions about specific information the government has about efforts by Russia to interfere with elections. Michael McCaul, a Texas Republican who is chairman of the Homeland Security Committee, said Russia’s goal is to “create chaos” and not help a specific candidate. House Speaker Paul Ryan organized the classified meeting. Trump held his own briefing May 3 with Director of National Intelligence Dan Coats, Wray and others to discuss efforts to bolster the country’s election systems and how to work with states. States are now deciding how to use their share of $380 million in federal election security grants that came with the omnibus spending package earlier this year. But it’s hardly enough to update aging voting equipment in most states ahead of the November polls, and many state officials are hoping Congress will approve more dollars. A group of former U.S. and European officials, including ex-Vice President Joe Biden, who say governments haven’t sufficiently addressed election security threats have started the Transatlantic Commission on Election Integrity, which plans its first meeting in Copenhagen on June 21-22. The group aims to conduct studies on how to better reduce risks to elections from Russian cyber threats, including looking at new technologies, and share their findings with governments. Every House seat is on the ballot in November general elections, along with a third of Senate seats. U.S. Reps. James Langevin (D-RI) and Peter King (R-NY) and Sen. Claire McCaskill (D-MO) recently introduced the Joint Task Force to Combat Opioid Trafficking Act. The bill would enable Department of Homeland Security (DHS) to create a Joint Task Force to improve coordination of the interdiction of illicit fentanyl and other opioids entering the United States. It encourages DHS to collaborate with private sector entities, such as parcel carriers, on creating the task force. The Secretary of Homeland Security is currently authorized to create Joint Task Forces for various purposes related to securing the United States’ land and maritime borders. The bill would expand those authorizations to allow task forces established to combat fentanyl and other opioids entering the United States. In 2016, approximately 42,000 people in the United States died due to opioid-related drug overdoses. A recent Centers for Disease Control and Prevention report studied opioid overdoses in 10 states and found that more than half of the deaths were related to illicitly produced fentanyl. 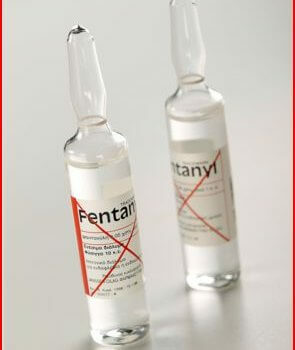 Ninety percent of illegally produced fentanyl is manufactured in China. Rhode Island’s congressional delegation has announced an influx of money will be sent to the state to help emergency responders and state agencies with security challenges and natural disasters. Democratic U.S. Senators Jack Reed and Sheldon Whitehouse, along with Democratic U.S. Representatives Jim Langevin and David Cicilline announced Tuesday the state will receive over $7 million in federal preparedness funds from the Department of Homeland Security. The funds may be used to purchase new safety equipment and emergency power generators, along with training for first responders. WaPo: The Cybersecurity 202: We surveyed 100 security experts. Almost all said state election systems were vulnerable. Each state is responsible for running its own elections, and many state officials view attempts by the federal government to intervene with skepticism — if not outrightopposition. But some experts said the magnitude of the threats from state-sponsored adversaries is too great for states to deal with alone. There’s no evidence that Russian hackers actually changed any votes in 2016, but they did probe online voter rolls and even breached the statewide voter database in Illinois.“Few if any state and local IT departments are equipped to protect this infrastructure against the full force of a hostile intelligence service, and these systems are very attractive targets for disruption,” Blaze said. On top of that, millions of Americans will vote this year on old, hack-prone digital machines that produce no paper trail. Without a paper record, it’s nearly impossible to audit the final vote tally. Federal officials and expertsrecommend scrapping such machines in favor of paper ballots. “Additionally, because of significant investments in electronic voting technology, it’s difficult for non-technologists to acknowledge economic sunk costs and re-prioritize current funding to address these … problems,” said Weatherford, a senior vice president and chief cybersecurity strategist at vArmour. With the 2018 midterm elections approaching this fall (and primaries going on throughout the year — check your local elections), the question of whether or not the United States’ voting systems are secure enough to ensure correct results is being widely debated. The Washington Post elected to interview a number of experts on whether or not they believe the upcoming elections can be hacked. According to a majority of those cybersecurity experts, the 2018 midterms are at risk of being hacked, which is just great. The report published by the Post on May 21 featured quotes and statistics from a panel of over 100 cybersecurity experts from the government, academia, the private sector, and the research community. 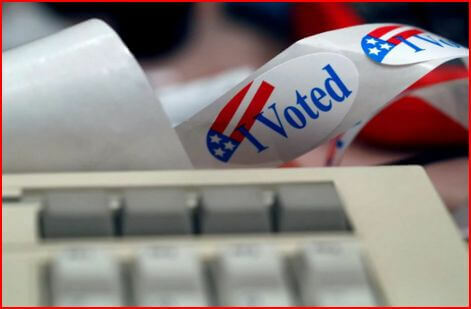 According to the report, 95 percent of the experts do not believe that state election systems are sufficiently protected from cyberthreats. In an interview with NBC News on Feb. 8, head of cybersecurity at the Department of Homeland Security Jeanette Manfra revealed that Russian hackers reportedly targeted 21 states prior to the 2016 presidential election, and that “an exceptionally small number of them were actually successfully penetrated.” Back in September 2017, the federal government notified election officials from those 21 states that their systems were targeted by Russian agents during the elections the year before. In response to these reports, the spending bill that Congress passed on March 22 included a whopping $380 million devoted to ramping up cybersecurity in order to prevent state voting systems from any sort of cyberattack. But not everyone in Congress thinks that this is enough funding to prevent elections from getting compromised by foreign agents. “We are going to need more money and more guidance on how to effectively defend against the sophisticated adversaries we are facing to get our risk down to acceptable levels,” Rep. Jim Langevin (D-R.I.) told the Post. Langevin also co-chairs the Congressional Cybersecurity Caucus. If a person with as much authority on this issue as Langevin thinks more needs to be done to protect this country’s elections, it’s definitely something to take seriously. The impact of the hacks from the 2016 presidential election has not yet been determined. But the fact that foreign agents were able to successfully hack some systems signals that the government should be working harder to ensure that elections in this country are fair and free. Because the 2018 midterms are so important for both sides of the aisle, it’s imperative that the outcomes of those elections are secure and correct. The problem with current voting systems is that they’re not uniform across the entire country, making some polling counties more vulnerable than others. Those smaller counties could amount to a significant number of compromised votes, which in turn has enough weight to sway an election in one direction or another. All 435 seats in the House of Representatives up for grabs come November, and 48 of those seats are considered to be competitive, according to The New York Times. In order for the Democrats to regain control of the House, they would need to flip at least 24 seats that are currently controlled by Republicans. The Senate is currently divided 51-49 in favor of Republicans, and Democrats might be able to pull off a Senate majority win following the midterms as well. Although it’s not entirely likely that Democrats will regain control of both chambers of Congress, the tight races in each prove how crucial it is to ensure that state elections are appropriately protected. The nation is just six months away from the midterm elections, and primaries have been going on. Hopefully, the appropriate authorities are doing what they can to protect your vote.